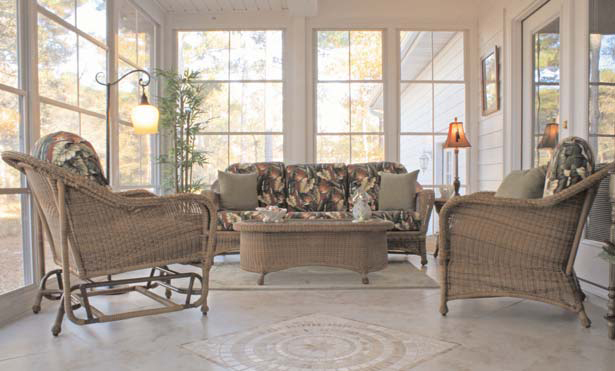 For those looking for more than a screenroom but less than a sunroom, there is EZE-Breeze! Our EZE-Breeze enclosures let cool breezes in and keep bad weather out, making outdoor spaces more inviting and enjoyable. Constructed from strong and attractive 10-mil vinyl, our EZE-Breeze windows offer many of the benefits of glass without the weight and costs. So if you have a patio that needs covering, or if you're ready to upgrade a pre-existing screen room, give us a call today for a free in-home consultation. Hathcock Home Services builds EZE Breeze rooms in Dothan, Ozark, Enterprise, and the surrounding southeast Alabama region. We also serve customers in parts of southwest Georgia and the northern Florida.